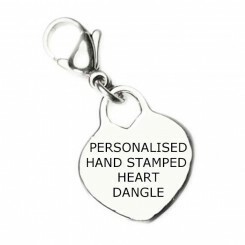 Add your own words to a heart Dangle. 2 colour options available. Available in Sterling Silver and Gold Tone. Add up one (1) or (2) names/words per Heart Dangle. ..